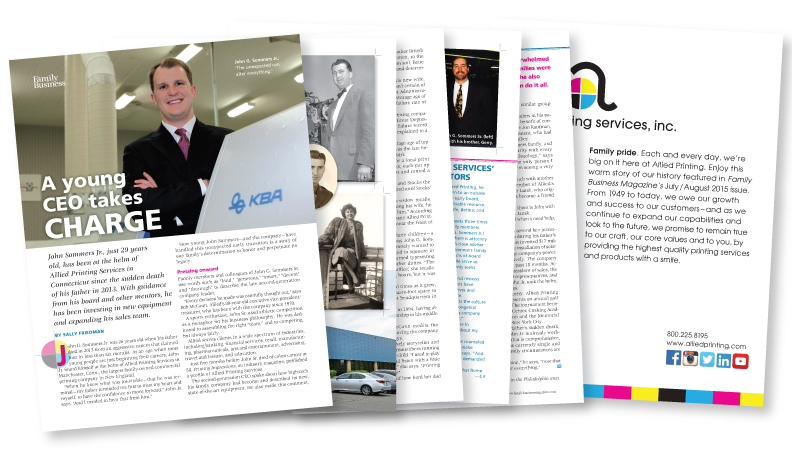 Reprints of Family Business Magazine are an ideal way to educate and inform your clients and staff about management approaches, industry trends and innovations, as well as to promote products and services at conferences, seminars and trade shows. Reprints are available in print format, or as a digital E-print such as a web link or PDF file for emailing and/or posting on your website. Lo-res PDF of ordered reprint, suitable for web posting, emailing, and internal printing only: $100. Free customization of blank space in reprint (i.e., company logo, company contact info, etc.) possible upon request. Additional quantity pricing available upon request.